To Cheapen The Civil Rights Of Any Group Of Citizens May Cheapen The Lives Of All Citizens.. | We dream of things that never were and say: "Why not?" We dream of things that never were and say: "Why not?" To Cheapen The Civil Rights Of Any Group Of Citizens May Cheapen The Lives Of All Citizens.. Looking at very recent events in the US on which many African-Americans, – besides others,… feel at least discouraged as a result of specific police injustice within US systems of authority, – one may say, on a more positive note, that despite this injustice, much has been achieved over the last 50 years. However, racial prejudice, which is the issue here, is still at the heart of a number of citizens, and some US institutions.. It resembles the roots of an inflated past.. a past, – coloured by bloodstained violence.. Yet, again, – in certain areas of the US, – there is a police force still, without optimal correctional systems when African Americans are shot or killed by the same police… The last, evidently, whilst those people did not impose a real threat. Worse is when tribunals then fail in their verdict to seek real justice, – or when courts fail to come up with measures of prevention & restraint in the future… The quality of justice in the US seems to be met with more obstacles when it applies to African American citizens. For two and half century this country has battled to overcome the self-imposed disadvantage of intolerance, prejudice, injustice and often hatred, – largely based on social class, nationality and race…. In the last almost 50 years measures to improve the quality of African Americans have been in some ways profound, but in other ways still insufficient… The realities often show the remnants of a tainted past. Whilst still millions of African Americans, along with many others, did not receive the training for simple jobs, – many though, live in so called 3rd world conditions, – and for all of this many things are outstanding as part of a progressive movement to the next chapter in American history. Still, with the legacies of Martin Luther King and Nelson Mandela,.. the growing legacy of President Obama as well, – one must look at the best possible legal ways to overcome those predicaments in a country which is still somehow divided by the nature of it’s history… A country with almost various different societies in the only one US. As such, – sustained acts in the positive are better than social unrest in the negative. One may say this might be the learning experience looking at recent events surrounding the circumstances in relation to both the Ferguson case and that of Eric Garner. ..Both died as a result of disproportionate police force. Unfortunately African Americans, citizens in the US, are more on their guard with the police force than anybody else -as they seem to be more “at risk”- .. and regardless the fact that the police force has a vital function in regards to the protection of US citizens, – undeniable there is still considerable institutional prejudice against those African-Americans on the street, – ..both at night and during the day. A few words only, – as his concern for his country and the world, – the often senseless violence and injustice, still applies… Apparently still echoes in the present day, and it seems so easy to get caught up into it, – just as easy it is to retreat from it into isolation… Likewise, – still applies somehow that to cheapen the civil and human rights of any group of citizens on the altar of injustice, imprisonment, or any sort of violence, – cheapens the lives of all citizens, – including that of ourselves. If we turn a blind eye to all of this out of fear, .. if we allow the detention of our own selves with the other eye, – the silence this shows against all this will not be merciful to our blindness to our fellow human beings, – whether they are black or white. Where we have the choice for the better, … we have to stand besides those being put in the shadow, – as our own shadow will fall short as an inner-light, when we miscarried the required justice, – when we miscarried the required care and respect towards our fellow human beings, – whatever background they may have. Speaking out against injustice and using the free media is always the first step.. Failing humanity we can, enhancing it we must, – both with reason and compassion, – as this is the standard for any progressive movement forward. Only if by choice humans meld their perspective towards the protection of each other, including the will and the ability to live and let live, wherever the last does not come at a cost for other human life, and without racial or any other prejudice, – only then the heavy lifting can be done to help a different society waiting to manifest itself, an environment with more gentle and open-minded conditions… The realities might be often different but the dilemma of any authority is always how to realize proper and accountable use, – instead of thoughtless actions without sensible purpose… Authority, from this point of view, needs to meet quality standards in any democratic society, -and the prime quality here is fair justice. However, – no reason to get cynical or pessimistic.. The last did neither bring a man to the Moon, nor did it release the Civil Rights Movement…Cynicism will never cure e.g. a disease, will never build a cathedral or build a business, or feed a young mind. Cynicism about progress, even when there is misfortune or defeat -like we see at many places in the world- is simply a poor option and hope will always be a better choice. .. As long as the efforts support any realism within the concept of hope, – as long as those efforts support any realism within the concept of respect for human & civil rights, – and as long finally, support any realism on the topic to create the law enforcement a country deserves for the protection of all citizens…A quality requirement within potential further legislation passing US Senate… Control mechanisms in place for Grand Juries to see the full facts rather than turning away from what everyone else saw… In this case one can’t blame the jurors, but the prosecutor who presented the case and guided the grand jurors the wrong direction. The last, regretfully, not uncommon. Neither trouble nor hardship, or hard work, should separate us as members of the same species in one country, nor on this planet, – and the failure to fully value black lives as white lives needs to be sorted at American soil, as part of a better Union still to be formalized where legislation is insufficient to make those things.. “as a matter of fact”, – so to say. For the police force applies that they need to be on their guard, – always, – but the assessment when somebody is a real threat is a critical one, and there is neither need to kill in any perceived threat, nor is there a need to use disproportionate force against African Americans who are harmless when an unprejudiced assessment is made. This applies for any country in the world where the police force has to deal with the multi cultural background of it’s citizens and where prejudice might be an issue.. The difference is that both juries, guidance and prosecutors, – not to speak about “cultures in police force” and the general culture, in democratic countries, are recognizable contrasting. Not to speak, this time, – about countries without a historical heritage of being a Democracy! There are people who say there are problems in Australia as well – (as I speak from Australia) – ..and the answer is: “correct !”… Australia has a significant past re the injustice on Indigenous Australian People… Australia has been always however a multicultural country… Still a long way to go ..!…and for sure not everything is perfect…But even when Australia is named the worst performing industrial country on climate change -(as far as a recent report released in Peru)- the divisions in the domain of multiculturalism are for sure less strenuous. ….You know, – . – American citizens wrote a recent letter to the US Senate telling them they were a bit sick of this, – as the story goes on and on and many people have their own story. and the vote was 41 to 41. …By the way, ..this was after this year’s November elections for the US Senate………….. There you go, …for 2016, – with just 2 years to go for a new chapter in US Presidential history! …But real legislative powers will not change meanwhile.. 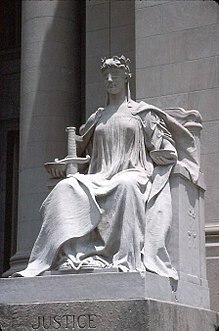 However, courage in the use of Judicial power could be the testing point on various occasions now. Let’s hope, … let’s hope this works out well, – for all involved… As for the greater number of people in the US of all origins class and colours applies that they simply want to live together, – that they just want to help their children grow up in peace and safety, – and that they just want to have basic harmony and justice for all US citizens. To make gentle the life of this world. In "We dream of things that never were and say: "Why not? ", I try to touch base on some of nowadays important topics, on some of the challenges of our times and generation. But also on some of my own memories and other things..
As a Family Physician in rural South Australia with quite a busy life style, - "blogging" is a welcome retreat to engage somehow this way, and being receptive of what is going on in this world.. This planet needs more auspicious and compassionate man and woman... People pioneering peace efforts and restoration in their own time and place. People once more again refreshing an increasing respect for life, - all life actually. The American actress, director, singer and dancer Jasmine Guy once said: "It is a full time job being honest one moment at a time, remembering to love, to honour, to respect. It is a practice, a discipline, worthy of every moment".. And she is right!.. There comes a time in your life, perhaps, that you are getting attached to your purpose again, the principle by which you intended to live. That you walk away from all the melodrama and the crowd who create it.. That - interdependent as we are- you surround yourself with people who make you laugh and that you open up to all the people (wherever they might live), - who have to pass on the reverential instructions they once themselves received.. Those people, who were able to make gentle the life of their loved ones and many others.. Those people, who looked further than the circumstances they were tight into, - but had a journey to travel.. A true one, - a journey where love means you treat people and animals with compassion..
Not only this, - wherever you may travel on the crossing between the past and the future, - have true reference for all breathing creatures where this is justifiable, - as only this is justice towards the next generation who inherits this planet. For more information about the writer of this blog see blog posts: "About Paul Alexander Wolf – ‘Continuer à essayer’' and "Todá Rabá: For a transpersonal communication!" Challenges of our times and generation, memories and others. America, who are we, and what are we going to tell the children? An assessment on Donald Trump and the potential aftermath. ABUSE and TORTURE insufficiently dealt with in Australia. HAVE YOU EVER LOVED SOMEONE YOU NEVER MET? And Actors, writers, models, bloggers, and others included! WHO ARE WE, – AND WHAT COULD WE STILL BECOME?? 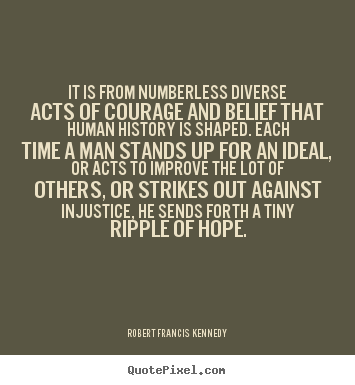 WORDS MATTER, THE WORLD MATTERS‏, HOPE MATTERS – LIKEWISE YOUR WORLD MATTERS; STAY IN FOR THE RIDE!! Escalating Syrian drama and an unsure Reconstruction. Todá Rabá: For a transpersonal communication! Is Sydney University Able To Embark On Leading-Edge Educational Change? Sydney Siege 2014: A serious warning for better terror prevention. A Collision Course in Europe and the US with Russia?‏ – What is the real Crisis? Christmas of the best kind? If we have loved well while we were alive.. Both International And National Security Starts At Home – US in the picture. 21st Century’s collision course of nuclear disaster, – both the possible and the impossible! America’s Role In The Middle East – Justified? To Cross The Waves Of Time..
What sort of a Peace.. Some predictions for 2013 after 2012? Macbeth, the power of evil and the evil of power. “Lass sie nach Berlin kommen” – Berlin 2012 takes a proactive lead! In the Light of Space, Reality will End and Compassion may Start. 2013 – 2014 Genocide in the Pacific or even worse? The Art of Leadership and Lessons from the Past – Gandhi. The Art of Leadership and lessons from the Past – introduction. The Dangers of US Decay Within the Foundation of its Democracy. Review JFK Assassination 2011: An issue for both Democrats and Republicans. Our future lies in our children as well! Fukushima: why is vital technology arriving so late? Early childhood in Goes, – a memory! I was born into global issues such as responsible use of power, the struggle for survival and the fear of loss. These themes are still evident in the events around the world and in the culture around us. Safety and security issues are a key motivation in most of our major life decisions, and we all have probably a chronic, underlying fear of losing our security or resources. For most of the people around the planet, this fear is evident, and in some countries the loss of it is more than profound. The use of power amidst a variety of leaders is a major issue in this world and often comes at a cost of innocent lives. Robert Fritz wrote, "It is not what a vision is; it's what a vision does." What does a vision do?... Vision is the ability to see. Helen Keller was asked, "Is there anything worse than being blind?".. "Yes," she replied, "having eyesight but no vision!" Leaders with myopic vision are so terribly near sighted that they live only for today. Their vision of the future is fuzzy. They can barely see beyond their noses. Leaders with peripheral vision are blindsided by side issues. In "We dream of things that never were and say: "Why not? ", - I touch base on some of nowadays important topics, on some of the challenges of our times and generation.. But also on a few of my own memories and other information..
Hope you like reading some of it.. It will be a slowly evolving narrative, a portrayal of variety, a rendering of sorts..
As a Family Physician in rural South Australia with quite a busy life style, - writing is a welcome retreat to engage somehow. To be more receptive of what is going on in the world..
From this point I made a number of assertions, part of my own journey and evolving perceptions..
People pioneering peace efforts and healing of sorts in their own time and place, - in their own little world and in the world of others..
People who, once more again, refresh an increasing spirit and respect for life, - respect not only restricted to the human race, but values sweeping all breathing offspring of this world. The last, where we thoughtfully have an obligation to do this. The American actress, director, singer and dancer Jasmine Guy once said: "It is a full time job being honest one moment at a time, remembering to love, to honour, to respect. It is a practice, a discipline, worthy of every moment"..
And she is right....Never to be bored this way!.. There is too much to see and to do in this great world, "broken" in far larger dimensions than we see.. but we may take immense pleasure by enlarging our circle of compassion. The road to voracity marks the scars of humanity far more than we think.. and there is no one else to blame than the nature of human race on its own. If you haven't perhaps this as yet, a time may come in your life that you are getting attached again to your purpose, the principle by which you intend to live..
That you walk away from all the melodrama and the crowd who did create this, - apart from the contributions you possibly made yourself.. Still, you have a free choice.. The choice to open your eyes and see..
That, interdependent as we are, you surround yourself with people who make you move again.. creating again, as part of real connections. That you open up to those (wherever they might live), who pass on some of the awesome instructions they once received themselves.. Instructions deeply embedded at the soul of humanity..
History has examples of some of those people, for sure, but at times they just live around the corner or in the same area, - not too far away..
Those people, who were able to make gentle the life of their loved ones, including the lives of so many others..
With their own free choice.. with their own eyesight and their own vision..
Those people, who looked further than the circumstances in which they were confined, because they had a journey to travel..
We are life amidst life, we breathe the same air and have the same link to the future..
And as such, a life inspired is always a life less expired..
And wherever you may travel on this road, enlarge with other people a passionate change to mankind, - if you are able to..
And so, each time when a person is rising up from his own isolation to advance the future of others, or acts against oppression , or stands up for the abused, or any other injustice or evil, - he or she sends forth both currents of courage and faith, - affecting many others.. This is something to be thankful for because in sharing the beauty of the greater connection and the wider purpose in life, we find meaning and direction as well.. This is just part of the greater justice towards the next generation, which we have to carry over.. The generation which will inherit this planet. A generation with new leaders on a planet where we all share both the darkness and the light this may create, now and in the world to come..
To honour and to improve life where possible, and to make more gentle the life of this world..
How I see my future? At best I would be more at the frontline of Medicine for disadvantaged people, in areas where this is most required.